The thought of a yellow kitchen may conjure up images of old-fashioned, traditional décor, but there are so many ways to use the bright hue in a way that's modern and fresh. "Yellow is becoming a more mainstream, go-to color in home décor," says Jessica McCarthy, creative director and elite designer for Decorist, the online interior design service. Yellow is a universal color that can work with different design styles, she points out. 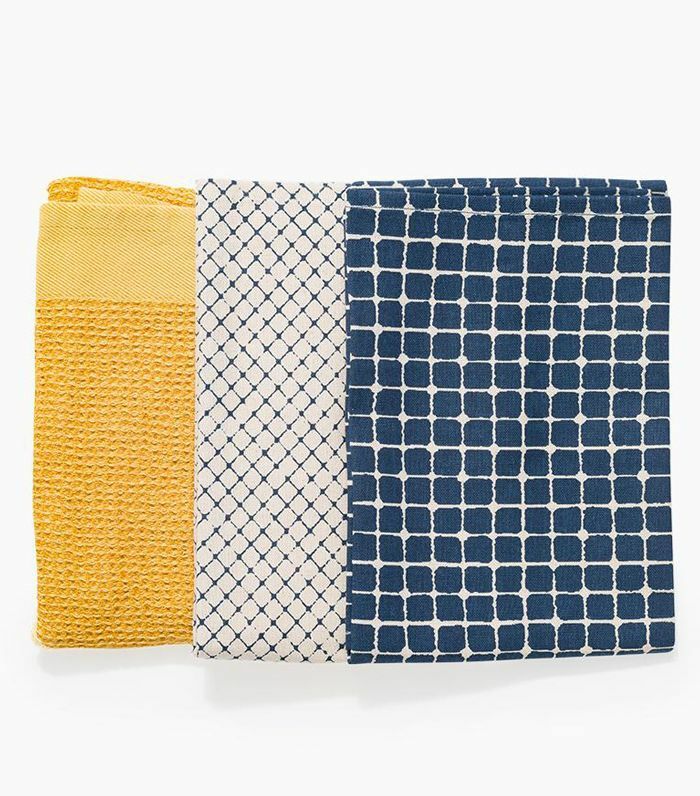 "Yellow can go in different style directions, from retro to farmhouse to preppy traditional," McCarthy states. So just how do you incorporate this poppy color into your kitchen without going overboard? It's all about using a variety of shades and hues, carefully selecting accent pieces, and finding playful furnishings. Ahead, McCarthy shares her best yellow kitchen ideas to make your vision come to life. 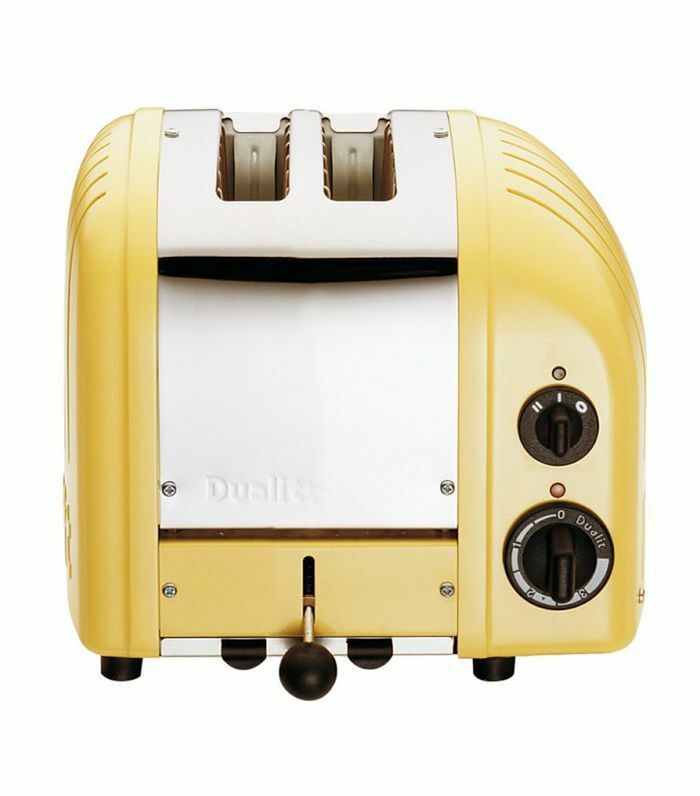 Decorating a kitchen with the color yellow in mind doesn't mean you have to paint the room yellow at all. 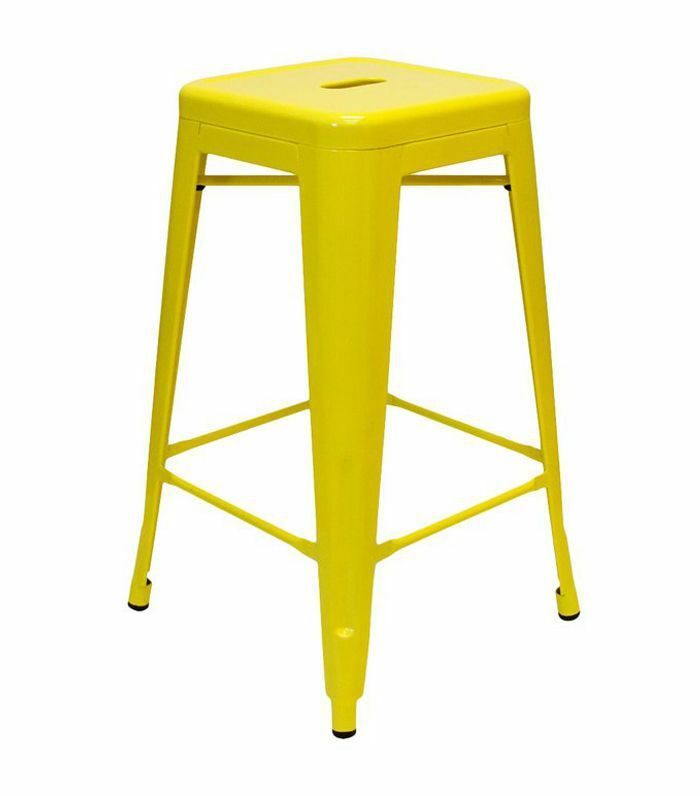 Try out bright barstools to utilize the color as a simple accent. 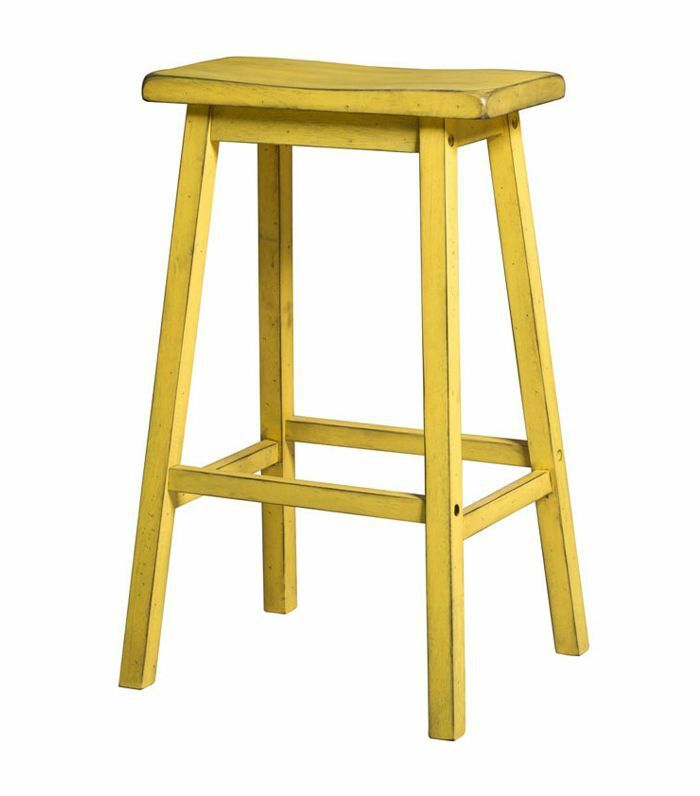 "Modern yellow barstools are the perfect playful pop and look great contrasting with a neutral kitchen," says McCarthy. This bright and airy kitchen has just the right amount of color thanks to the understated yellow barstools around the kitchen island. This modern kitchen features small pops of color that make a major impact. From the mismatched dining chairs to the art, yellow plays a subtle but dynamic role in the aesthetic of this kitchen. McCarthy advises picking a theme first before sourcing any décor. If you're going for an ultra-modern look, pick yellow accents after you've determined your style. "Don't forget the accents," McCarthy urges. Whether that's something as large as a yellow refrigerator or as simple as yellow dishware, these pops of yellow will create the bright and lively space you want. 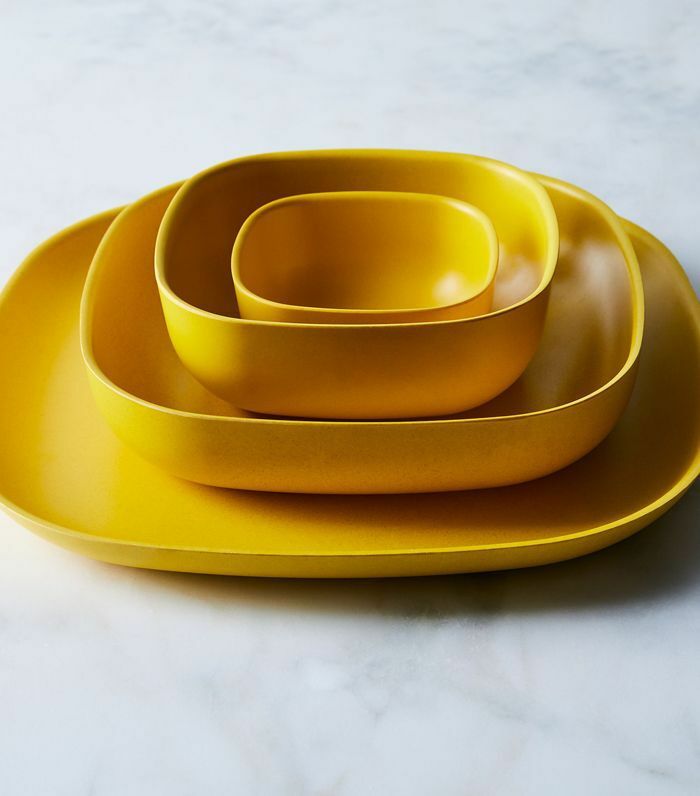 "Even if yellow is not the main color in your kitchen, pops of yellow dishware, artwork, and planters will make a bright and positive impact in your space," she says. 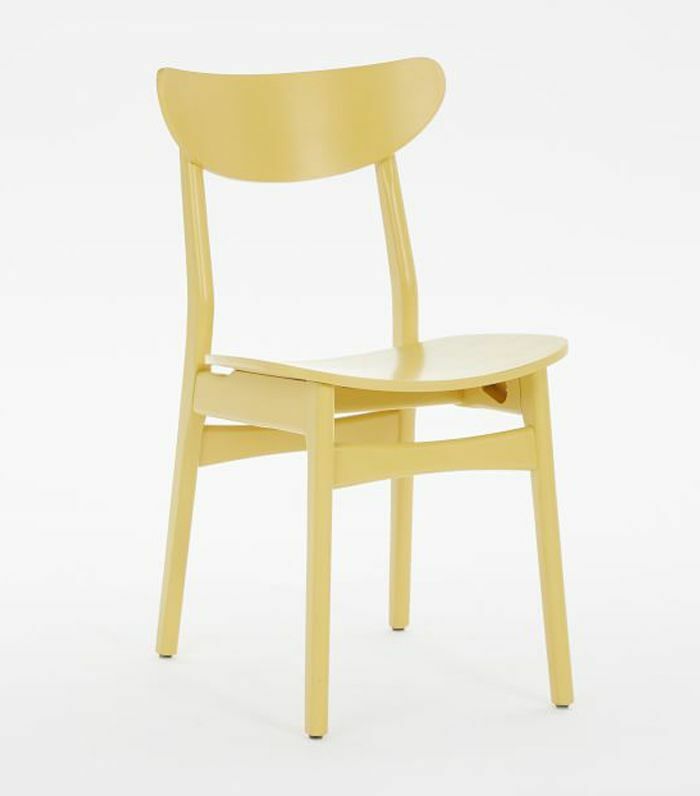 Incorporate the color yellow with a set of pastel yellow dining chairs. "Even if it's just a touch of yellow, the color is always sure to bring a bit of sunshine to your décor," McCarthy says. Here, chairs with a soft hue of yellow enhance the mint green walls and botanicals already in the space. If you really want to go for it, a yellow paint is the best way to make a bold statement, whether you're drawn to a more muted tone or a bright and energizing hue. "Choose from one of the many different shades of yellow," McCarthy says. 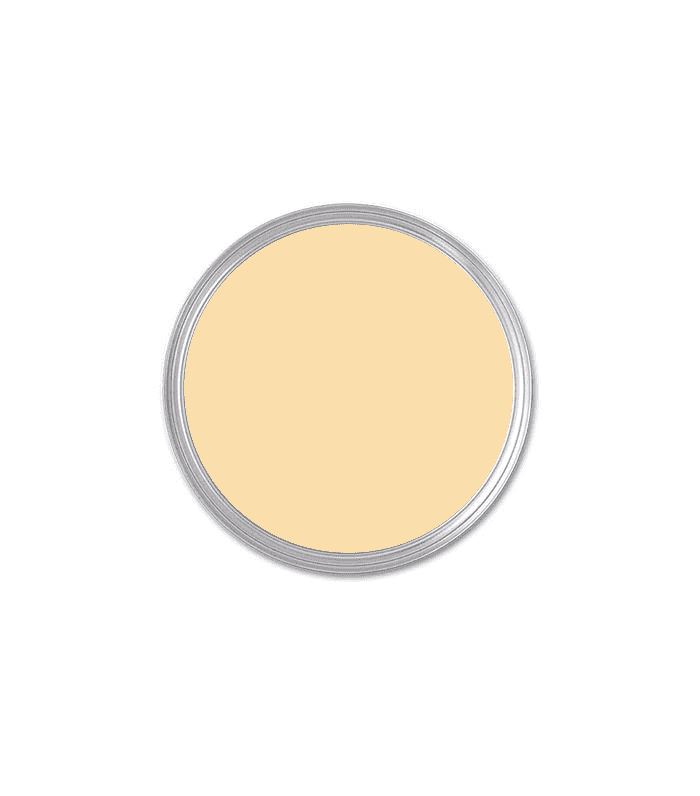 "I'm specifically loving the bold look of a mustard yellow or a neutral buttercream." "Yellow is such a positive accent color that creates happiness in any room," says McCarthy. Sprinkle yellow accent pieces throughout your kitchen to manifest these good vibes. Find yellow barstools, mugs, and containers to bring the theme together. If you like the idea of having hints of yellow in your kitchen but aren't ready commit to a major paint project or furniture haul, invest in a bright piece of statement art. 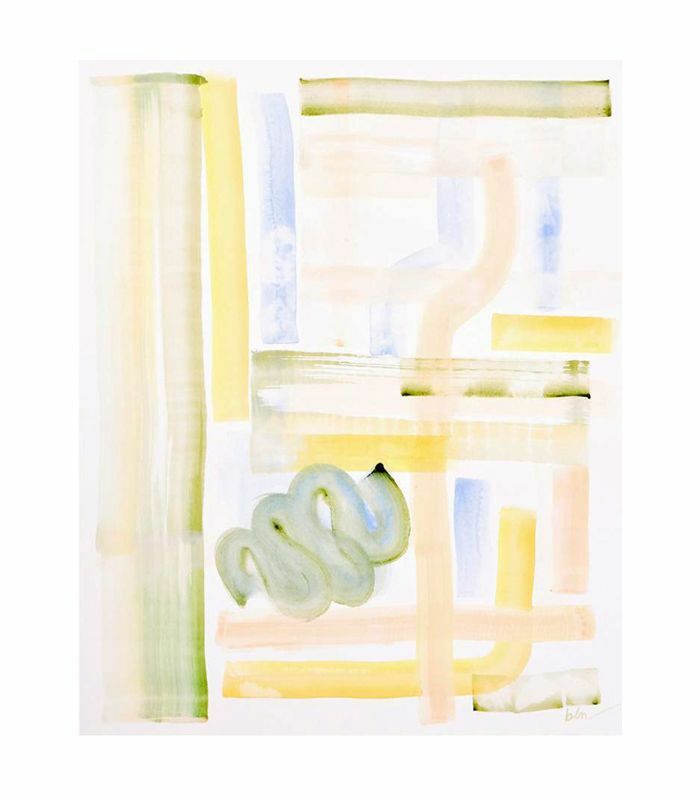 McCarthy says that pops of yellow artwork are a great way to incorporate the color in a way that's modern and new. 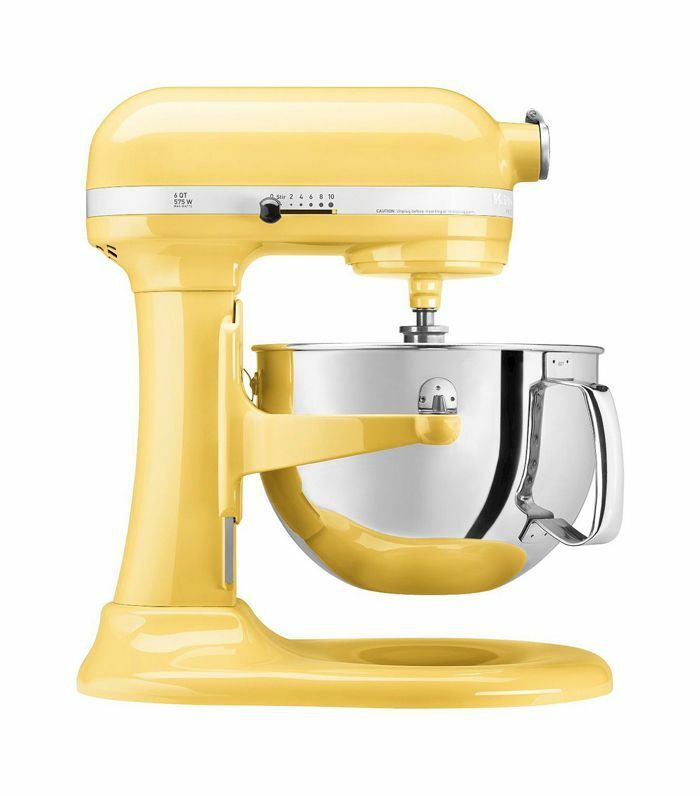 "Add a retro touch through your appliances with a pastel yellow Smeg fridge or KitchenAid mixer," McCarthy says. It's an easy way to bridge traditional with modern for a look that's truly original. This Scandinavian yellow kitchen plays up the bright theme with a modern yellow refrigerator and matching accent elements throughout the space. Pendant lighting is another opportunity to bring color into your kitchen through accent pieces. 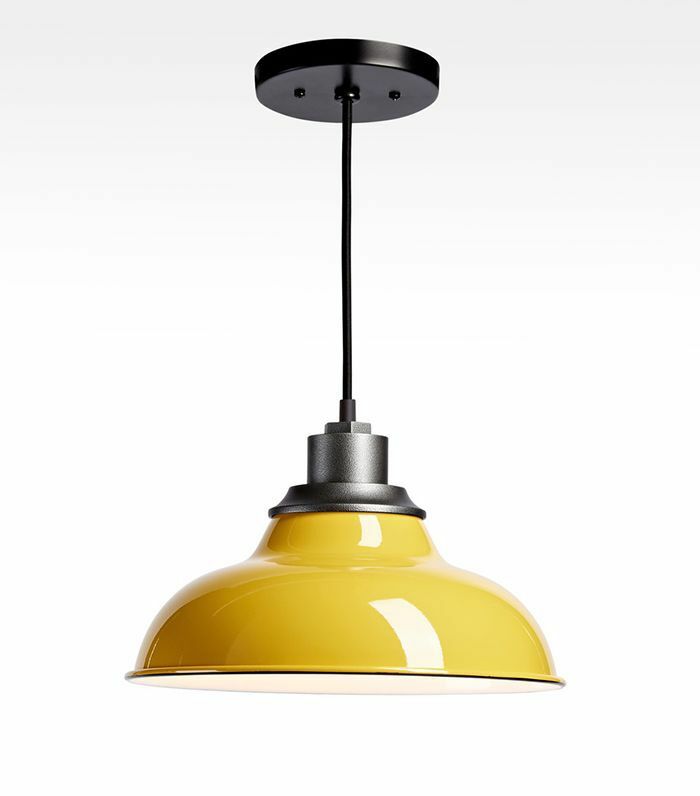 "If you want a vintage look, there are numerous yellow pendants you can use over your kitchen island," says McCarthy. "Look specifically for something vintage to create an authentic retro feel." You can also switch things up with modern pendants with clean lines for a more contemporary look like in this bright kitchen. "There are endless amounts of yellow tile that you can use on your backsplash or kitchen counter," according to McCarthy. You can also find a fresh wallpaper to introduce the bright color into your kitchen. "Use a wallpaper in a fun and vibrant yellow pattern in your connecting dining nook or dining room," she says. With these yellow kitchen ideas, you'll be able to create the bright and positive space you've been dreaming of. Now the only decisions are which shade of yellow and which accents pieces to choose.